Our Kids Travel: Completed Dream Vacation, What Now? Completed Dream Vacation, What Now? For as long as I can remember, I have been planning. I plan the next trip, the next birthday party, the next adventure.. I have been researching how to get points to make my dream vacation happen for the last three years. 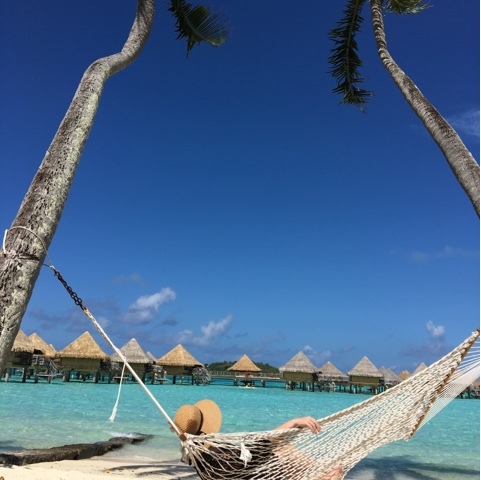 Last month, I finally took that dream vacation to Bora Bora, Tahiti & Moorea. I pictured that once the trip was over, I would be spending time sharing our amazing photos and memories with our loved ones. I figured I would be rushing around trying to get our favorite pictures printed on canvas or framed in large prints, and trying to decide the perfect place for them to hang. But instead I am left with a surprising feeling of blah. I feel less motivated to do any of our after vacation rituals. I feel, depressed, or how I feel in a Spring rainstorm, just kind of in a yucky funk. I have completed my "Bucket List" travel so what can be better than that, more worthy than that trip? I feel a strong impulse to just up and book a crazy trip. Today I was set on just taking the kids back to Bora Bora. I even fathomed paying full price for our tickets and accommodations. The me that is writing this hours after that thought wants to slap earlier me. Full price is not in my vocabulary. I think there needs to be a term for this kind of illness. For someone who no longer has their ideal trip in front of them to look forward to and dream about one day taking. Like 'alreadyhappened syndrome' or 'dreamsareover' virus. A virus, yes. Something that just has to run it's course. I cannot wait until I am better. I need to get motivated to find a new dream, and figure out the points needed to get there. Maybe something more challenging than a three year plan. The only thing that runs through my head in real time writing this, that excited me and will take years of plotting and planning, is a move, or a summer residence, or a changing residence per month...the French Countryside in the summer perhaps? The Amalfi Coast in the winter? How can I pay for a homeschool teacher to travel with us, with points? Have you ever felt this way? Tell me I am not alone!